Since 1958 Vanbreda International has been providing expatriates with quality insurance solutions and global health benefits. With over 330,000 policyholders in 192 counties, Vanbreda is able to afford its clients with the comprehensive solutions needed in the modern world through an extensive international presence. With office locations in Europe, the Americas, Africa, and Asia, Vanbreda is in a unique position to offer policyholders instant redress to whatever issues may arise while they are overseas. Understanding that expatriates are often faced with a multitude of contradicting social systems while overseas, and that in many cases these expats are not able to access local healthcare services due to eligibility requirements, Vanbreda has developed a service chain to cater for internationally mobile individuals and groups; ensuring that they have adequate access to quality healthcare services no matter where in the world they may be located. 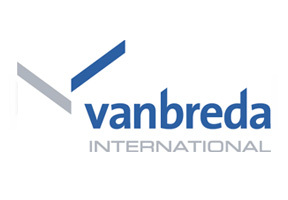 With a dedicated contact center responding to policyholders’ issues 24 hours a day, and a commitment to innovation and service, Vanbreda is able to provide expatriates with the comprehensive global health benefits which they deserve.